Music cannot happen without time. The placement of the sounds in time is the rhythm of a piece of music. The term “rhythm” as used by musicians can refer to many things. It can mean the basic, repetitive pulse of the music or a rhythmic pattern that is repeated throughout the music (as in “feel the rhythm”). 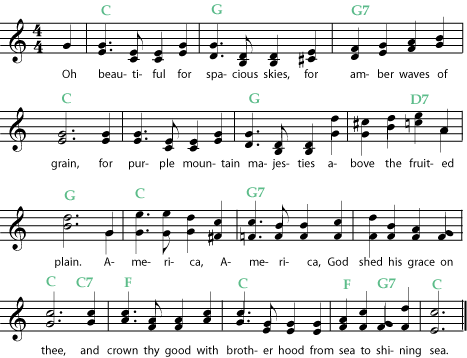 But it can also refer to the pattern in time of a single small group of notes (as in “play this rhythm for me”). Rhythm is the variation of the accentuation of sounds or other events over time. “Rhythm involves patterns of duration that are phenomenally present in the music” with duration perceived by interonset interval. When governed by rule, it is called meter. It is inherent in any time-dependent medium, but it is most associated with music, dance, and the majority of poetry. The study of rhythm, stress, and pitch in speech is called prosody; it is a topic in linguistics. All musicians, instrumentalists and vocalists, work with rhythm, but it is often considered the primary domain of drummers and percussionists. In Western music, rhythms are usually arranged with respect to a time signature, partially signifying a meter. The speed of the underlying pulse, called the beat, is the tempo. The tempo is usually measured in ‘beats per minute’ (bpm); 60 bpm means a speed of one beat per second. The length of the meter, or metric unit (usually corresponding with measure length), is usually grouped into either two or three beats, being called duple meter and triple meter, respectively. If each beat is grouped in two, it is simple meter, if in three compound meter. A rhythm section generally consists of percussion instruments, and possibly chordal instruments (e.g., guitar, banjo) and keyboard instruments, such as piano (which, by the way, may be classified as any of these three types of instruments). Narmour describes three categories of prosodic rules which create rhythmic successions which are additive (same duration repeated), cumulative (short-long), or countercumulative (long-short). Cumulation is associated with closure or relaxation, countercumulation with openness or tension, while additive rhythms are open-ended and repetitive. 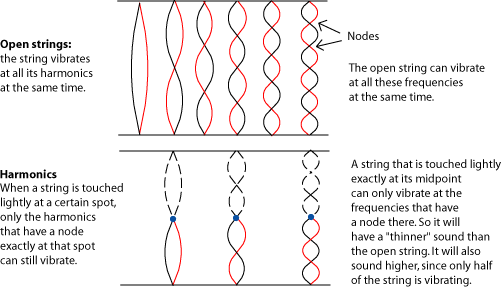 Richard Middleton points out this method cannot account for syncopation and suggests the concept of transformation. The beat is the steady pulse in the music. Anything that happens at the same time as a strong pulse is “on the beat”; anything that happens at any other time is “off the beat”. Beats are grouped into measures or bars. 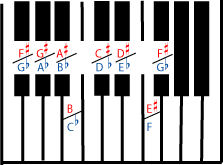 The first beat is usually the strongest, and in most music, most of the bars have the same number of beats. This sets up a basic rhythm in the pulse of the music: for example, strong-weak-strong-weak-strong-weak, or strong-weak-weak-strong-weak-weak. 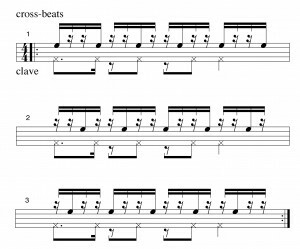 Syncopation occurs when a strong note happens either on a weak beat or off the beat. Syncopated rhythms are rhythms that accent parts of the beat not already stressed by counting. Playing simultaneous rhythms in more than one time signature is called polymeter. See also polyrhythm. In recent years, rhythm and meter have become an important area of research among music scholars. Recent work in these areas includes books by Fred Lerdahl and Ray Jackendoff, Jonathan Kramer, Christopher Hasty, William Rothstein, and Joel Lester. These are the rhythmic terms in music. Some genres of music make different use of rhythm than others. Most Western music is based on divisive rhythm, while non-Western music uses more additive rhythm. African music makes heavy use of polyrhythms, and Indian music uses complex cycles such as 7 and 13, while Balinese music often uses complex interlocking rhythms. By comparison, a lot of Western classical music is fairly rhythmically simple; it stays in a simple meter such as 4/4 or 3/4 and makes little use of syncopation. 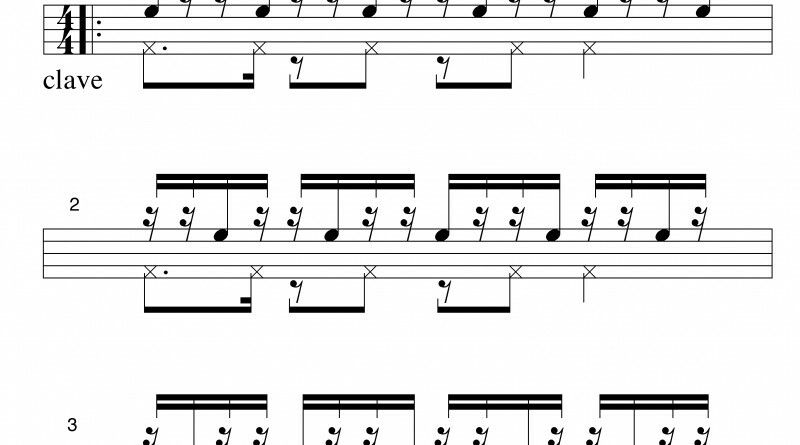 In the 20th century, composers like Igor Stravinsky, Philip Glass, and Steve Reich wrote more rhythmically complex music using odd meters, and techniques such as phasing and additive rhythm. At the same time, modernists such as Olivier Messiaen and his pupils used increased complexity to disrupt the sense of a regular beat, leading eventually to the widespread use of irrational rhythms in New Complexity. This use may be explained by a comment of John Cage’s where he notes that regular rhythms cause sounds to be heard as a group rather than individually; the irregular rhythms highlight the rapidly changing pitch relationships that would otherwise be subsumed into irrelevant rhythmic groupings (Sandow 2004, p.257). LaMonte Young also wrote music in which the sense of a regular beat is absent because the music consists only of long sustained tones (drones). In the 1930s, Henry Cowell wrote music involving multiple simultaneous periodic rhythms and collaborated with Léon Theremin to invent the Rhythmicon, the first electronic rhythm machine, in order to perform them. Similarly, Conlon Nancarrow wrote for player piano. Clave is a common underlying rhythm in African, Cuban music, and Brazilian music.